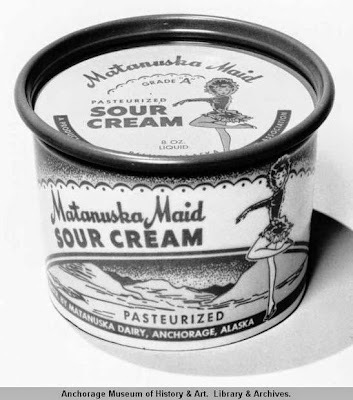 In 1935 the federal government begin a project called the Matanuska Valley Colony in the Alaska Territory. The funds dealt to the territorial government for the experiment came through the Federal Relief Administration Program, that as part of the New Deal Resettlement plan which initiated almost 200 such projects throughout the United States. 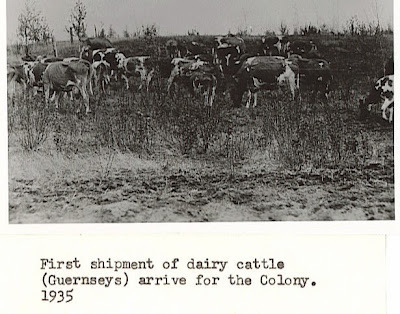 Within a few years, the Resettlement Administration helped 203 families relocate from Michigan, Minnesota, and Wisconsin into the forested valley with the hopes they'd successfully operate a cooperative agricultural community. 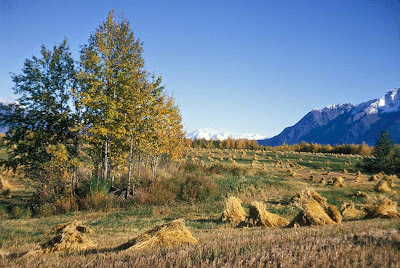 A farm with stacked hay in Matanuska Valley. This settler experimental colony took root thirty-five miles north of the Anchorage in the Matanuska Valley, within the southern region of Dene'ina traditional homelands. Historically Russian American company functionaries traveled through the area in 1819, but true settlement began under United States governance in 1893. The Gold Rush brought also brought hundred of miners into the Valley starting in 1898 making a giant population boom. The Alaska Railroad completed rails through there in 1916, birthing the town of Talkeetna. With the infrastructure in place the New Deal administration found the site a worthy place to bring impoverished families from the contiguous part of the nation in hopes they'd succeed as farmers. Government administrators hoped the colony would tame the 'frontier' of Alaska while also removing them from government assistance rolls. 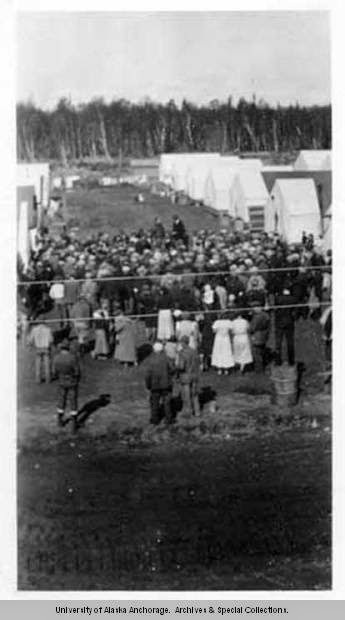 The government through the Alaska Rural Rehabilitation Corporation gave 40 acres to those who social workers believed would be successful in the colony. On May 10th 1935, colonist arrived and were assigned a tent to live in while they waited to draw for plots. Historian Orlando Miller points out that President Roosevelt’s Executive Order 6957 of 4 February 1935 required farm lots to sit adjacent to one another, unlike the scattered lots approved (or not) through the Alaska Native Allotment Act (see previous post). By 1935 249,112 acres were set aside in the colony for residents to build their own homes. The land lottery gave the settlers forested plots they had to clear themselves, yet for months these settlers lacked the tools to do such work. Eventually the government hired carpenters with lumber from anchorage to build homes for the colonists. Within 60 days 20 people left the colony and five years in half the population remained there. The remoteness caused an undue burden, financially and emotionally on many of the farmers and by 1960 only 20 people were still left operating their farms. Important to note here that the Alaska State Fair was a originally organized by these farmers in 1936. So while the colony was by and large unsuccessful it's legacy continues today in a variety of ways. In fact, there are many large and small scale farming businesses in the Matanuska-Palmer region that provide the state with all types of products. One of the most internationally renowned products to come from here is called Matanuska Thunder, a high-grade very potent strain of cannabis.